Home » Food and Nutrition » Can a Glass of This Prolong Your Life? Do you enjoy a glass of wine with dinner or cold beer after the hockey game? If you answered yes, here’s some good news: you might live a longer life than your non-drinking peers. 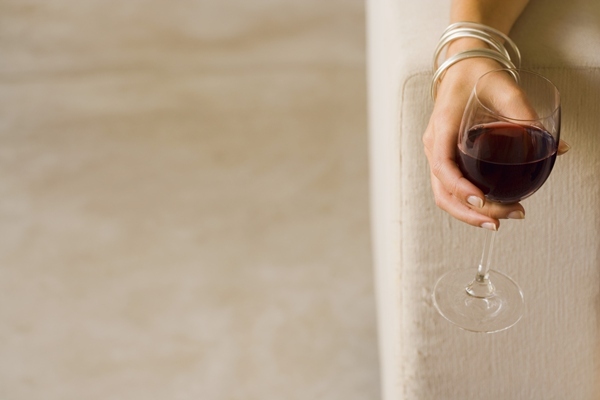 A recent study has found that moderate drinkers are living longer than those who abstain. A research team from the University of Texas followed over 1,800 volunteers for a 20-year period. All the study participants were between the ages of 55 to 65 at the outset of the study. For their analysis, the research team studied both moderate drinkers and abstainers. They also included heavy drinkers in their clinical trial. The study compared teetotalers—people who had drank in the past but who no longer drink, or those who had a history of never drinking—with moderate drinkers and heavy drinkers. Moderate drinkers were those who had one to three drinks a day, while heavy drinkers had four or more drinks per day. At the end of the 20-year study period, just over 30% of the teetotalers survived. This was in comparison to 40% of the heavy drinkers and almost 60% of the moderate drinkers. Some have suggested that the study does not account for certain variables, such as the type of alcohol consumed. If moderate drinkers—those who may have the financial means to spend money on red wine—are consuming a lot of resveratrol with their alcohol intake, this could explain the boost in health outcomes. Resveratrol has been shown in numerous clinical trials to exert a strong antioxidant effect in the body. Others too have pointed out that the teetotalers may be part of a poorer social class and simply don’t have the money to spend on alcohol. They may also lack the financial resources to buy healthy foods every week when they go grocery shopping. This could account for the poorer health outcomes, rather than a lack of alcohol in the diet. As the researchers mentioned, some teetotalers may have been heavy drinkers before cutting alcohol completely out of their diet. Alcoholism may have been a contributing factor in their earlier deaths. You still need to approach alcohol drinking with caution. Another recent clinical trial looked at 6,473 adults to determine the effects of smoking and heavy drinking on cognitive decline. The researchers found those who drank heavily and/or smoked showed a faster rate of cognitive decline than non-smoking, moderate drinkers. They also noted that the combined effects of alcohol and smoking caused more problems for the brain than either individual behavior. The research team concluded that smokers who drank heavily experienced a 36% faster cognitive decline than non-smoking moderate drinkers. It sounds like it’s okay to keep that glass of red wine included with your evening meal. For healthy older adults, red wine could help lower cholesterol levels and have a beneficial effect on heart health. Dindar, S., “Moderate drinkers live longer than non-drinkers, research finds,” Yahoo! Shine web site, Dec. 16, 2013; http://ca.shine.yahoo.com/blogs/shine-on/moderate-drinkers-live-longer-non-drinkers-research-finds-193624126.html, last accessed Dec. 19, 2013. Hagger-Johnson, G., et al., “Combined impact of smoking and heavy alcohol use on cognitive decline in early old age: Whitehall II prospective cohort study,” Br J Psychiatry. August 2013; 203(2): 120-5.